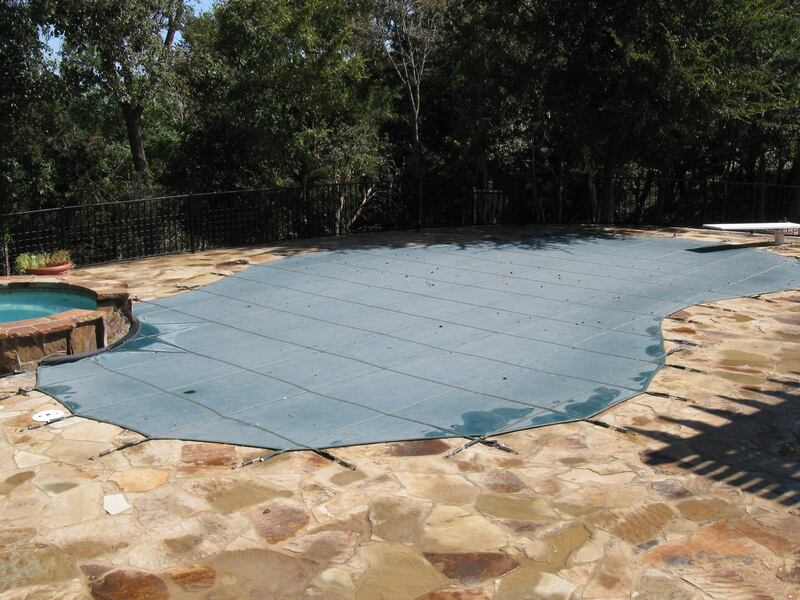 Determining a safety pool cover to protect and complement your investment in your landscape and pool (not to mention the priceless value of safety all year long) is an important decision, however, it does not have to be a hard one. 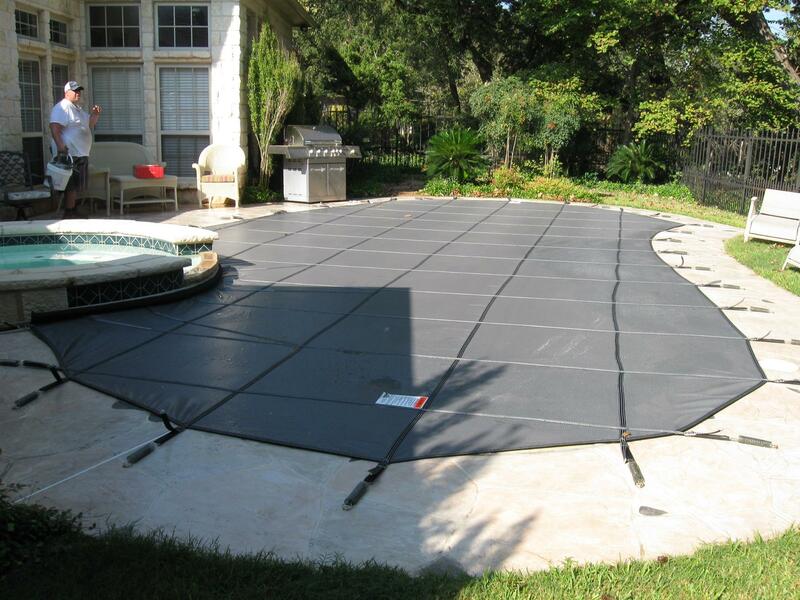 Meyco makes your inground pool cover decision easy. 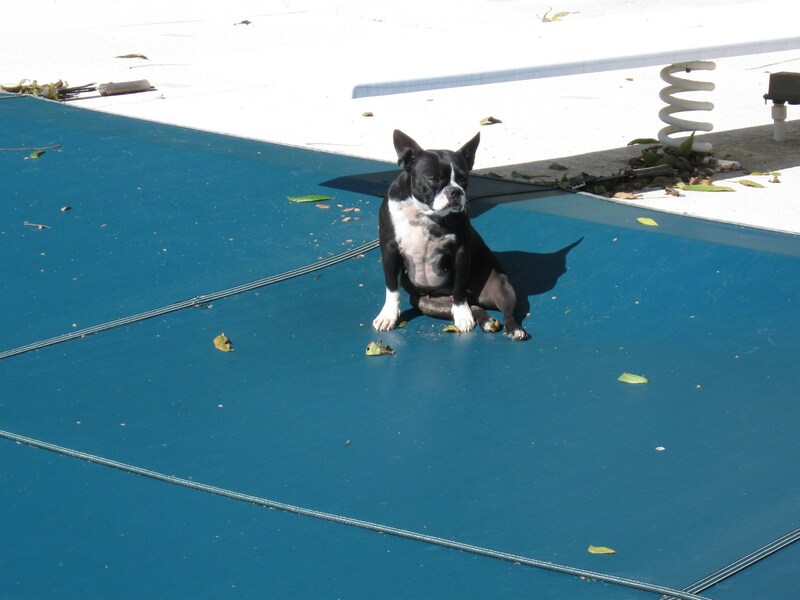 Material testing and pool cover design innovation takes all the guess work out of your decision. 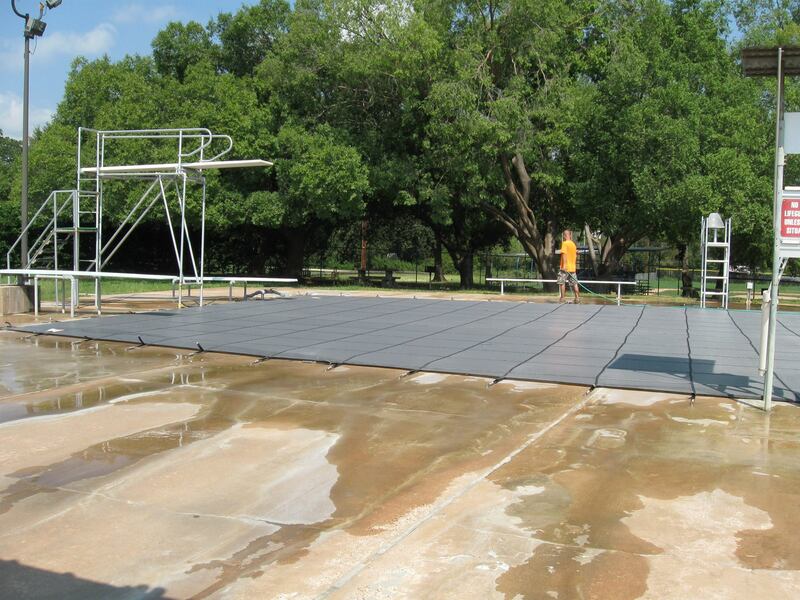 Meyco has been making custom pool covers, winter pool covers and safety pool covers for over 50 years. 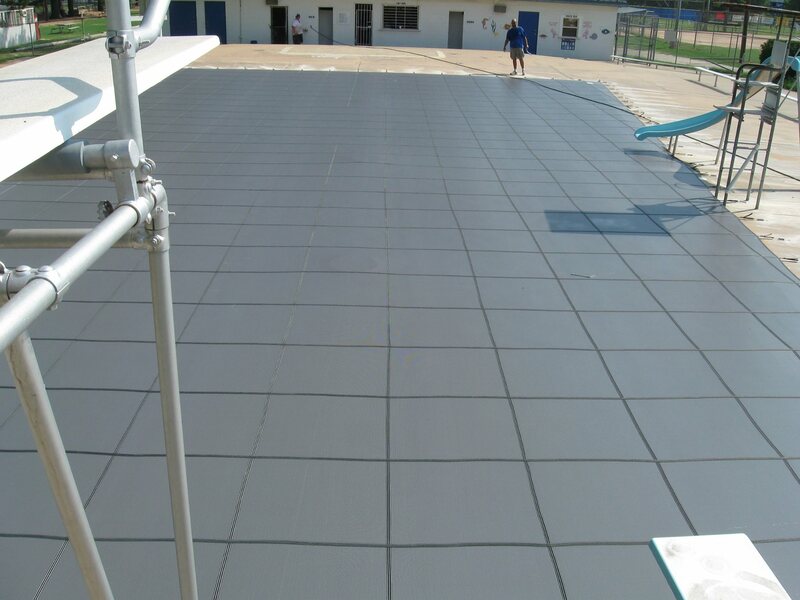 We have a reputation to uphold and put our reputation on the line with every swimming pool cover we manufacture. 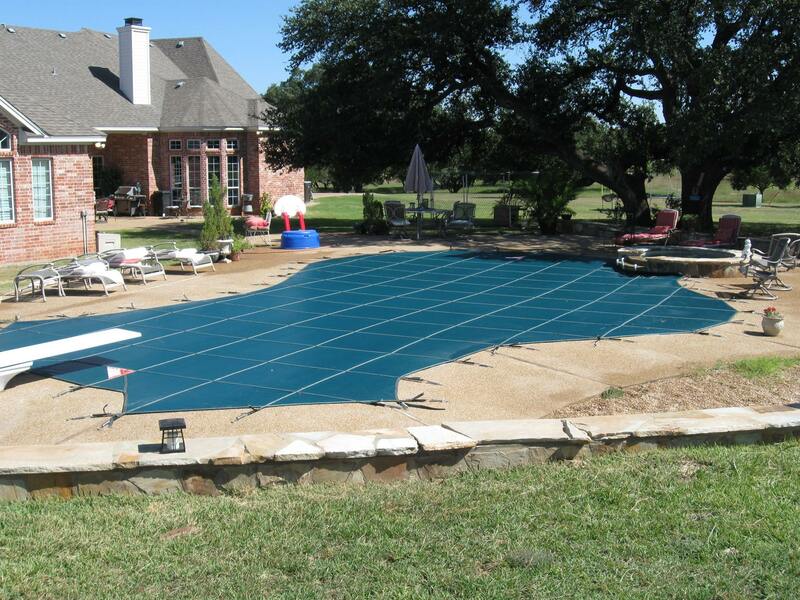 Meyco is most notable for its pool cover designing ability. From the simple rectangle that has its strap placement optimally placed for strength and aesthetics, to the multi-layered pool with a raised spa and vanishing edge, the amazement to our dealers is clear. 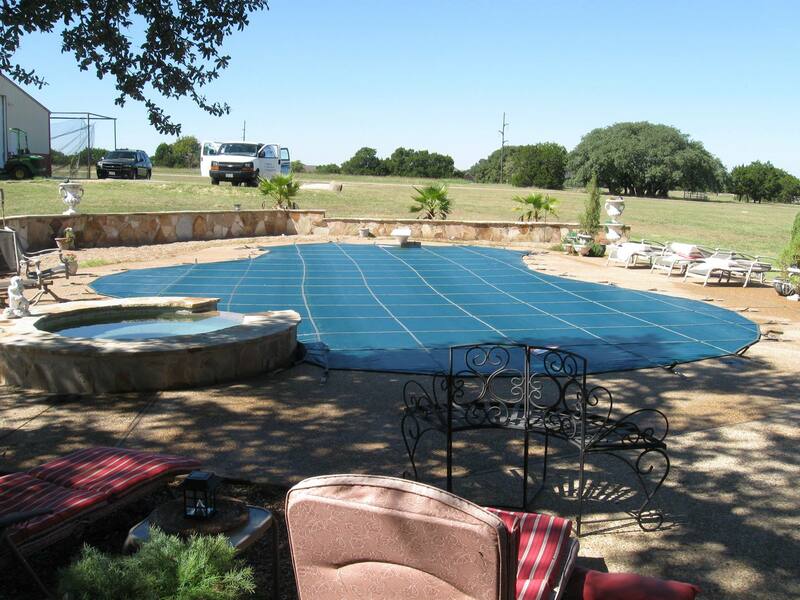 Mesh pool covers and solid pool covers get the same attention. 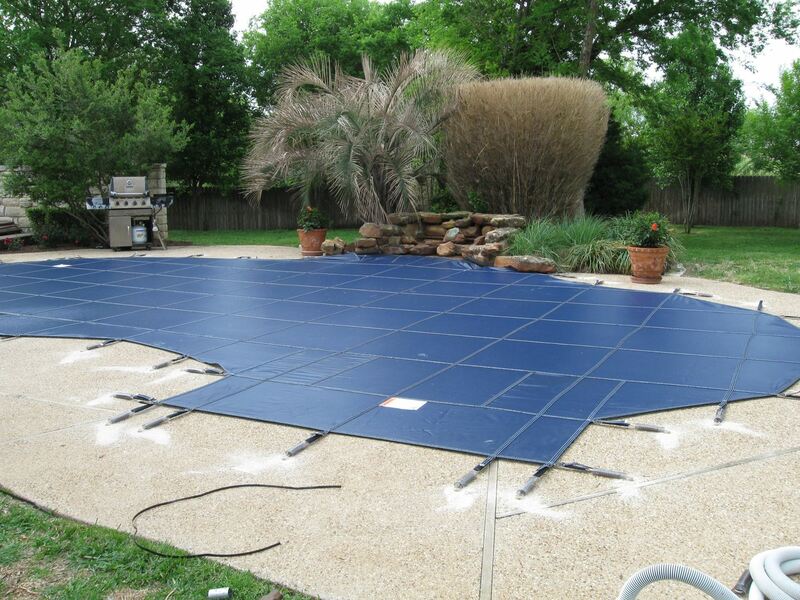 At Meyco Products, we are committed to complete customer comfort and satisfaction. 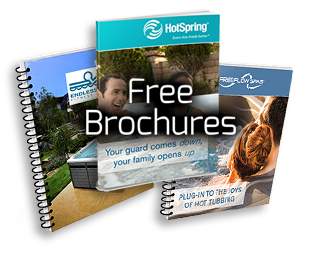 We treat every pool owner and dealer with the respect they deserve. It is the only way to withstand the test of time and we have learned that a long time ago. 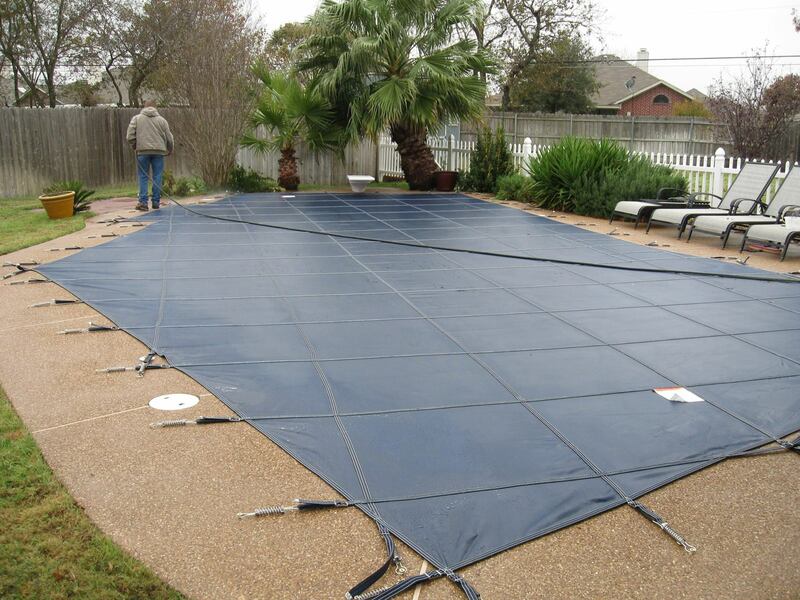 So, for a pool cover or spa cover you can rely on long after you buy, choose Meyco, the pool cover company you can really trust. 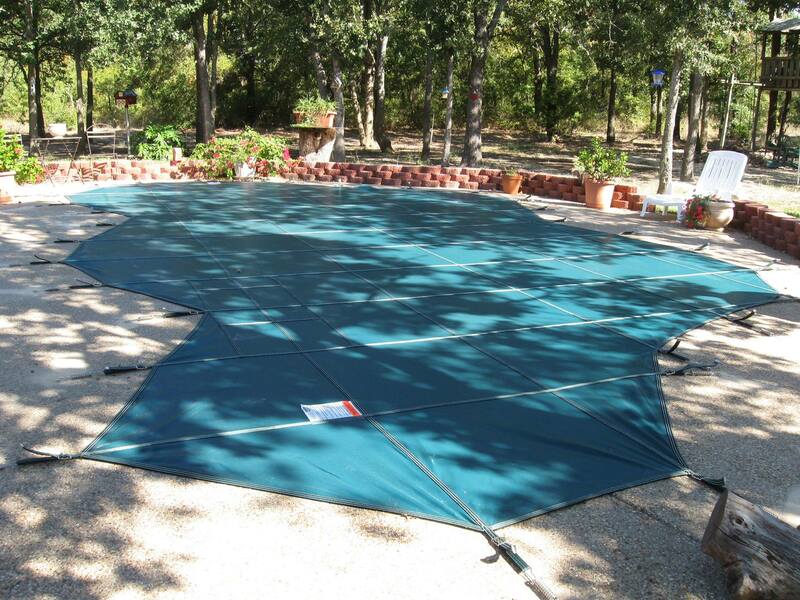 Meyco Safety Pool Covers – Very Safe! Very Beautiful! 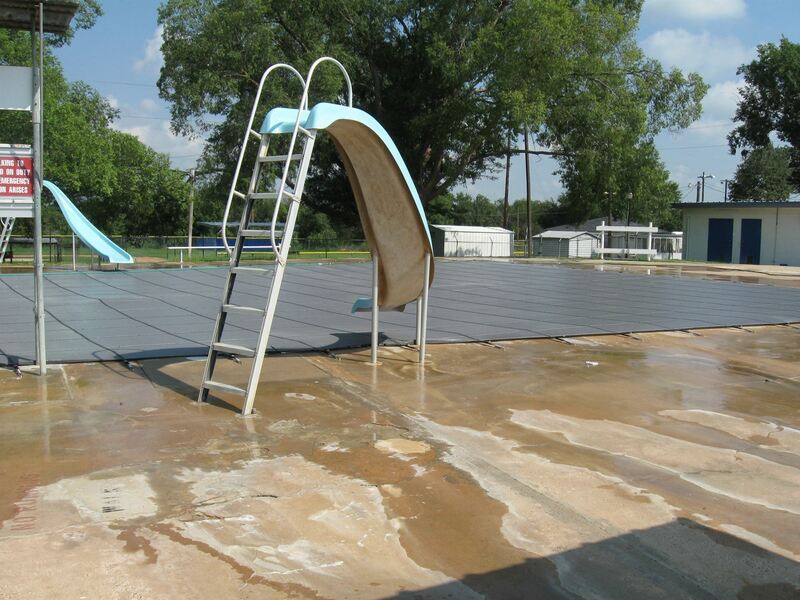 Safety for children and pets, the major concern for every pool owner, was the motivating factor in Meyco’s development of the mesh cover back in 1956. Decades of improvements and four U.S. patents later, Meyco continues to offer an outstanding version of the original mesh safety cover. Meyco covers exceed all ASTM standards for safety as well as many local safety requirements. 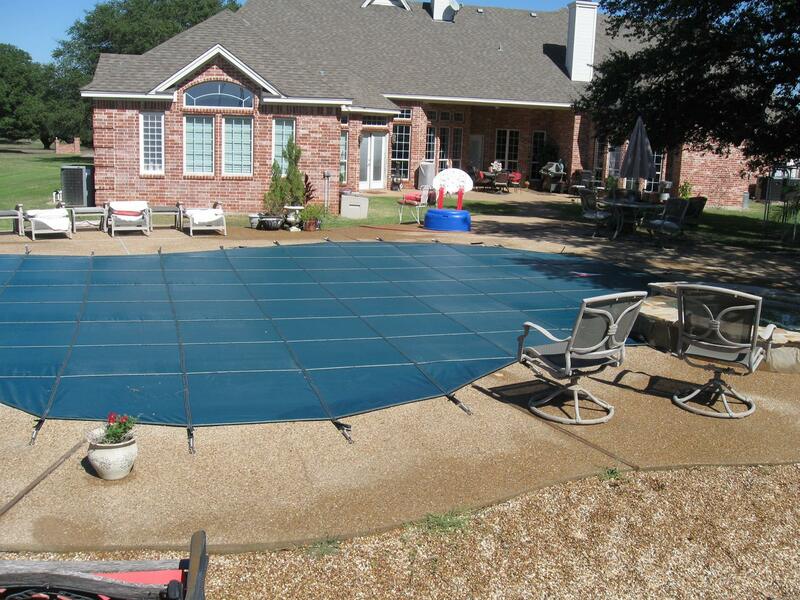 When properly secured to the pool decking, the cover’s crisscrossed webbing holds taut across the pool in “trampoline style”. 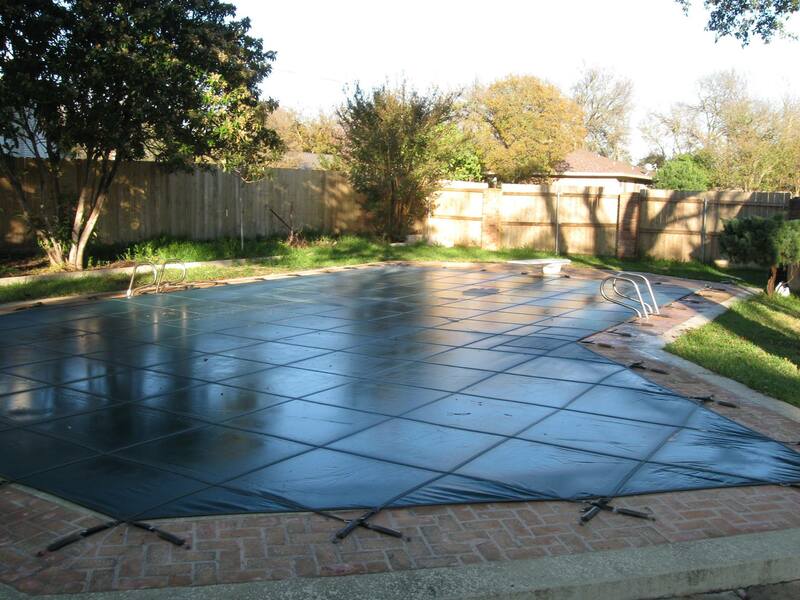 The world’s first pool safety cover was made of Meyco Meycolite Mesh material which is still true to this day. 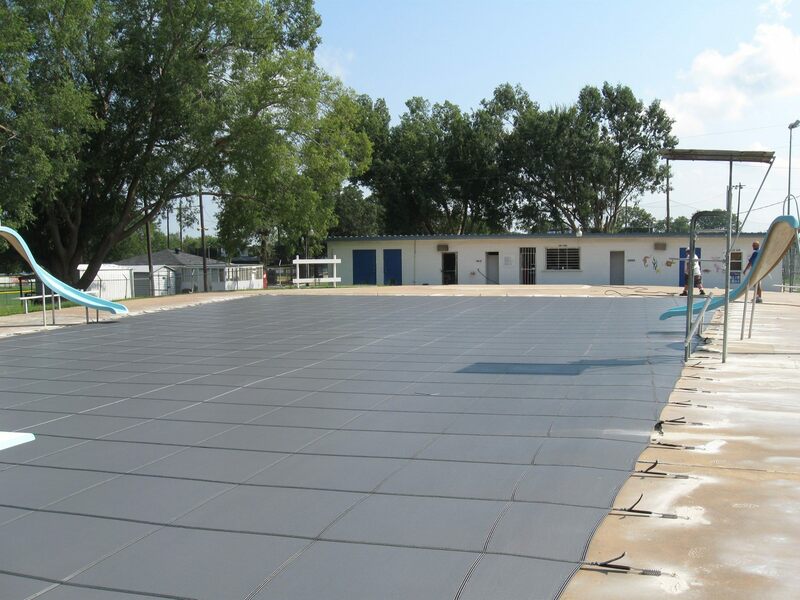 Meyco’s Meycolite Safety Covers are fabricated using a porous material that allows surface water to drain through leaving most debris on top to eventually dry up and blow away. 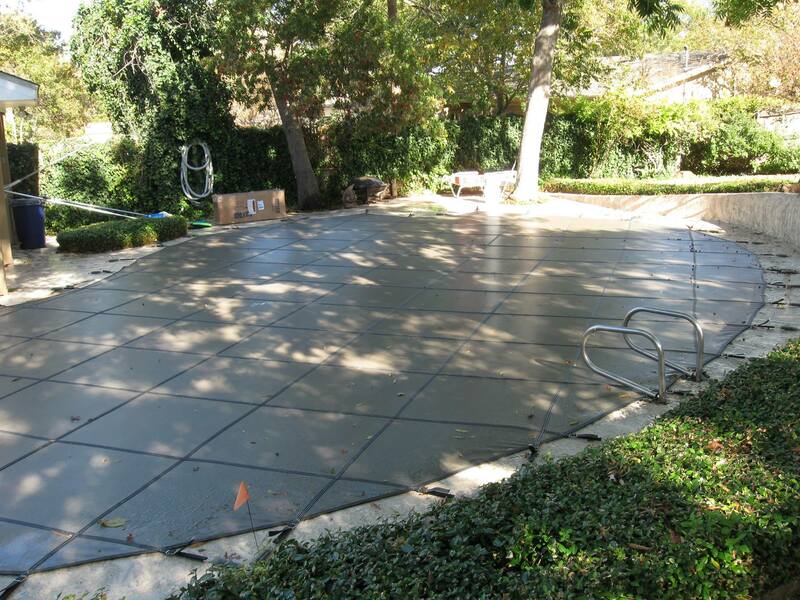 As a result, your pool is not only safeguarded during the off-season, but does not turn into an eyesore with accumulating debris plus unsightly and potentially dangerous surface water. The material is lightweight (5 pounds/ 100 sq.ft. ), yet extremely strong and treated for color fastness to minimize fading when exposed to sunlight. 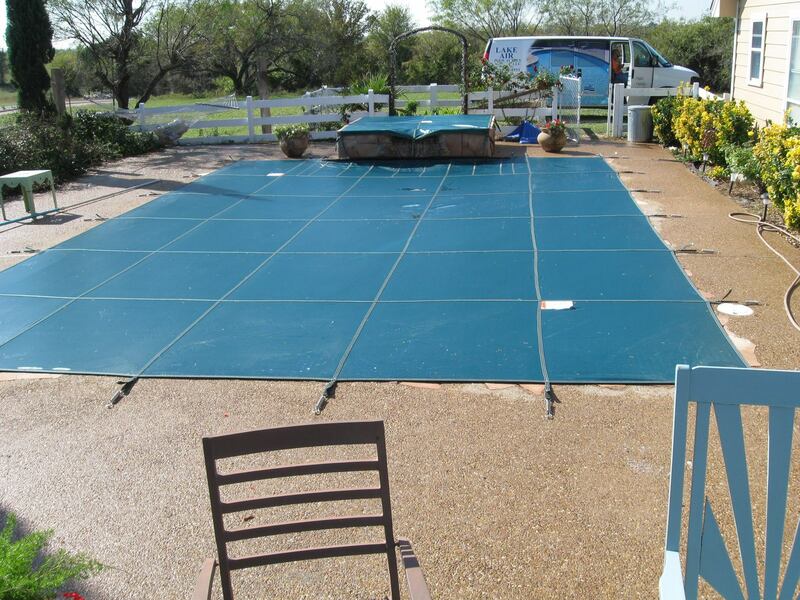 The standard color for mesh pool covers is Forest Green with Blue, Black, Mocha and Gray available as options. 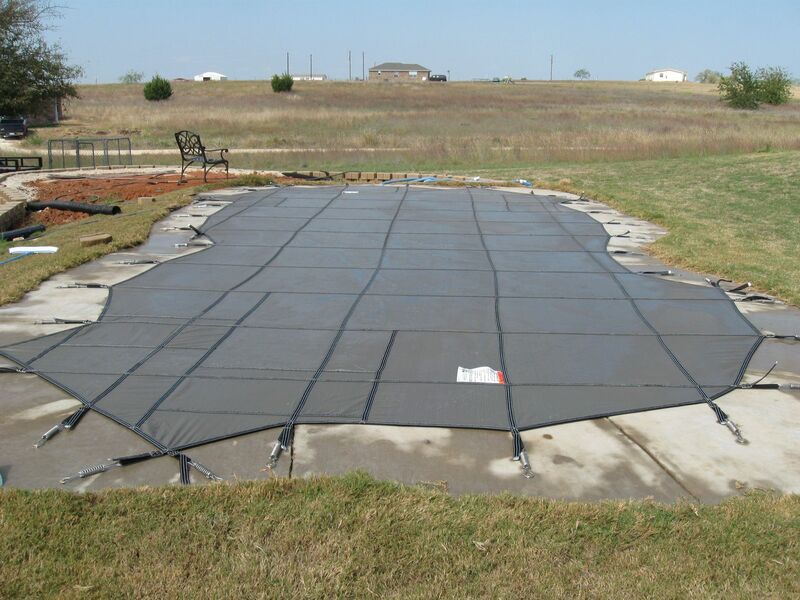 Mesh Safety covers eliminate the need to pump off dangerous surface water since rain water drains through. Leaves and debris on the cover dry and blow off. 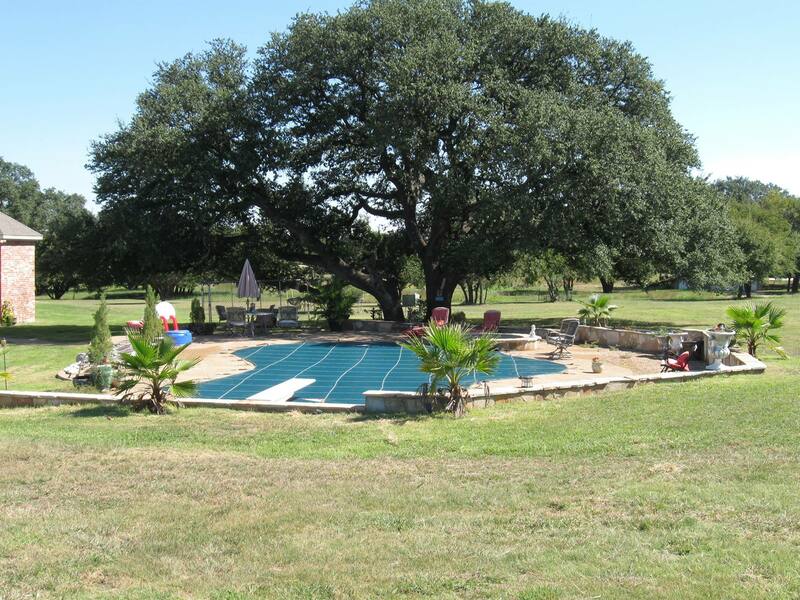 With proper water treatment there are no algae problems. 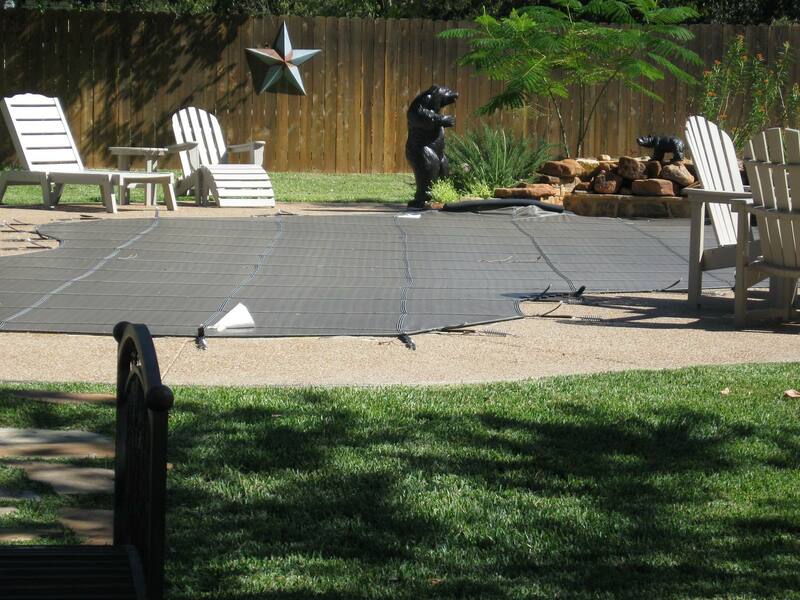 The only maintenance required for using a Mesh safety cover is to prevent the water level from falling lower than 18″ from deck level during the winter. 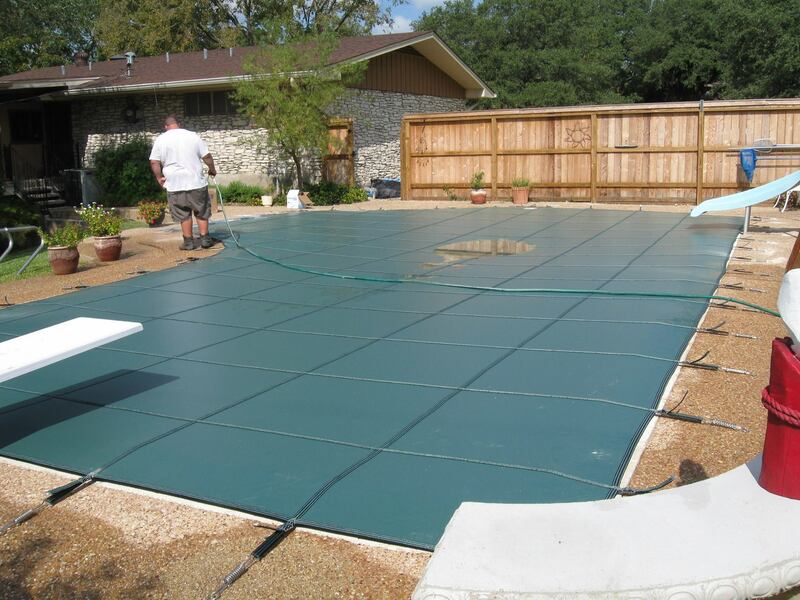 Tailored to fit any size or shape pool, the standard forest green fine mesh is handsome in appearance as well as maintenance free. 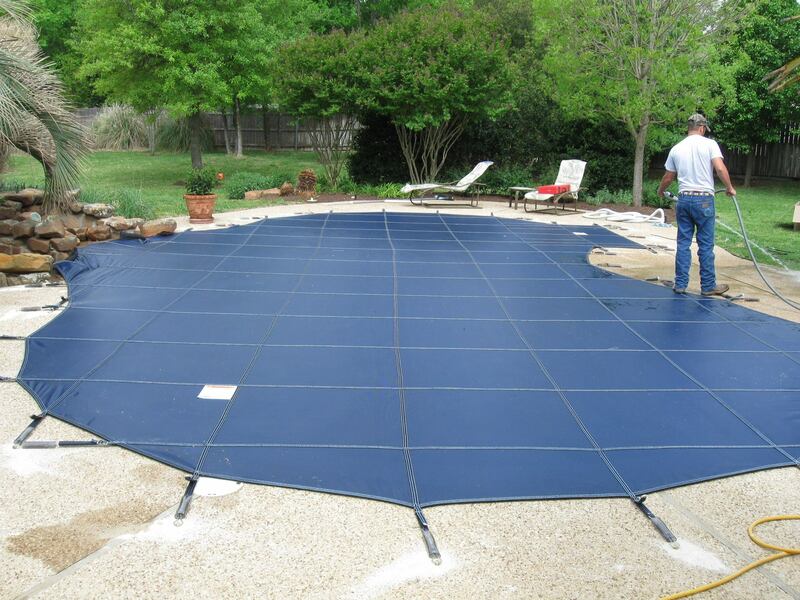 Inground pool covers are also available in blue and black. 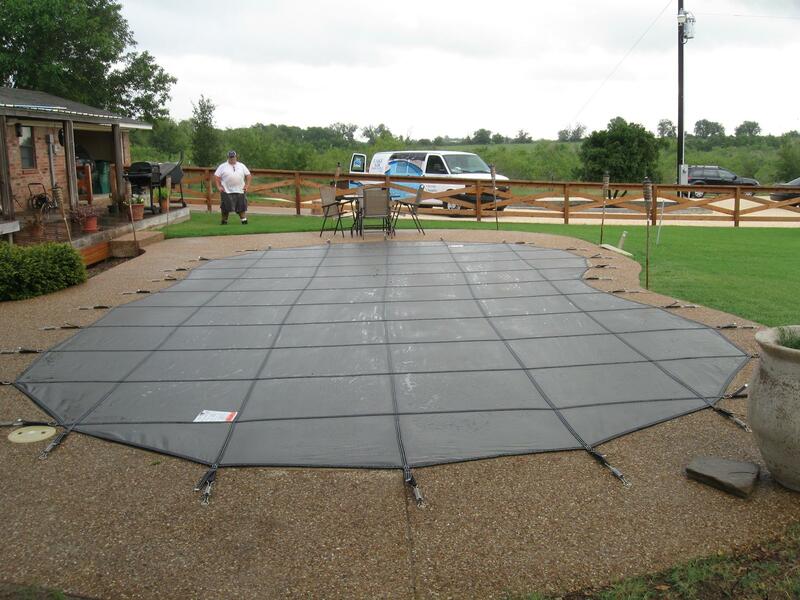 Safety covers actually cost less per year of use than standard tarp covers! 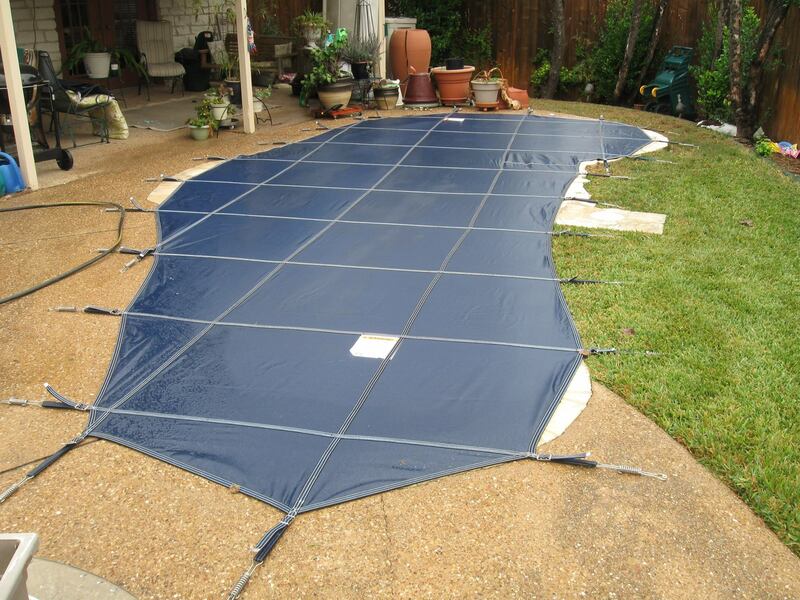 The larger initial investment for the safety cover is much more than compensated for by its longer mesh life and by eliminating the need for water bags, pumps or pillows. Meyco covers are made of the finest materials available….the best polypropylene fabric, the strongest thread and the most durable hardware. Each cover is designed with deep channeled abrasion strips for cover wear protection. Meyco’s outstanding 12-year warranty is offered as a result of high quality materials and workmanship. 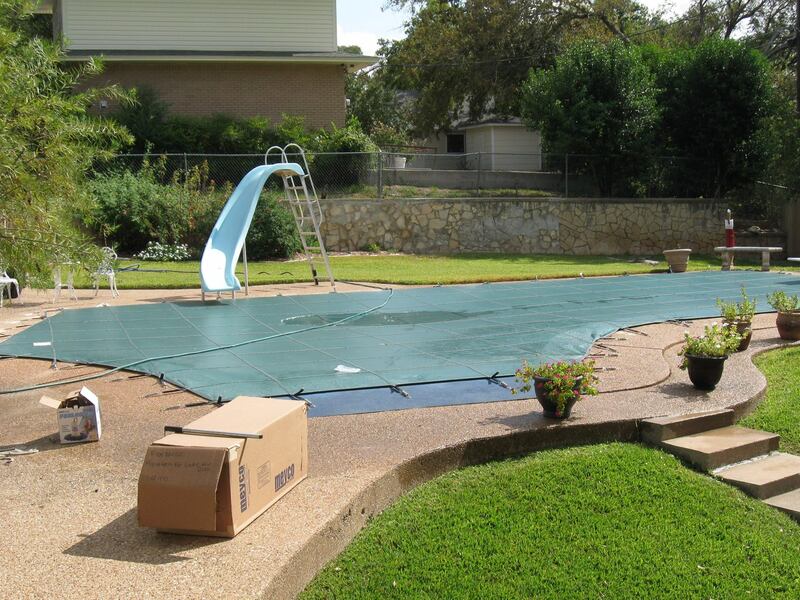 Meyco pool covers are built tough and last long.